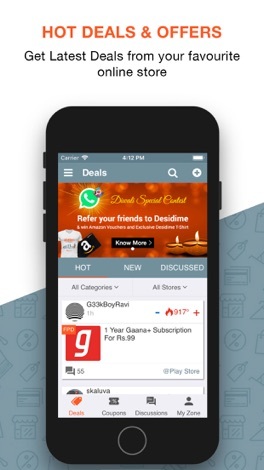 Desidime is India's largest online shopping community with members finding and sharing the latest online deals, coupons and offers with each other. Here, you will find the latest offers and shopping coupons many online stores including Amazon India, Flipkart, Snapdeal, eBay, Myntra, Paytm, Freecharge, Cleartrip, Pepperfry, Lenskart etc. 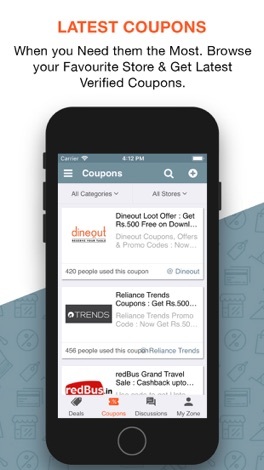 DesiDime Deals & Coupons App is your one stop destination to get latest coupons,discounts, deals,& offers from over 1000+ Online Shopping Websites in India! With a powerful online community of over a million shoppers posting, reviewing & rating the offers from various e-commerce stores, we bring you the latest, active & often hidden deals and coupons. BROWSE TOP & POPULAR DEALS – With the ready-made list of popular & top deals you have a one-click access to deals from over 1000+ ecommerce websites. 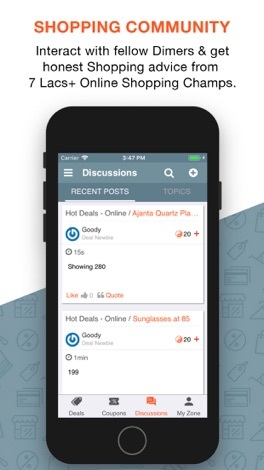 JOIN THE SHOPPING COMMUNITY ON FORUMS - Join our active online shopping community on forums to discuss everything from hot deals, daily deals, freebies & contests, reviews of product & online shopping websites and more on our app. 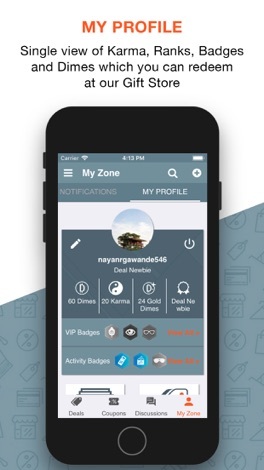 MANAGE YOUR PROFILE & NOTIFICATION - You can view or edit your profile information on Desidime app. We send you Notifications whenever a New Front Page Deal (FPD) or Mega sale is live. You can also manage these notifications from this section.